As with all foundations, family foundations work to have a meaningful and measurable impact on social problems. But they also have a second, unique purpose: to serve as a unifying vehicle for multiple generations, providing opportunities for family members to share philanthropic interests. Establishing this cohesion can be accomplished by articulating a common purpose – be it a commitment to supporting a geographic locale, supporting a certain issue(s) (education, health), or advancing specific strategies (capacity building, research). For example, one of the family foundations we house and manage here at TCC focuses exclusively on meeting the needs of vulnerable communities throughout New York City, supporting direct service and advocacy efforts in all boroughs of the city. Once unifying purposes are identified, a family foundation often seeks to ensure its impact by targeting its resources to address funding gaps and opportunities. 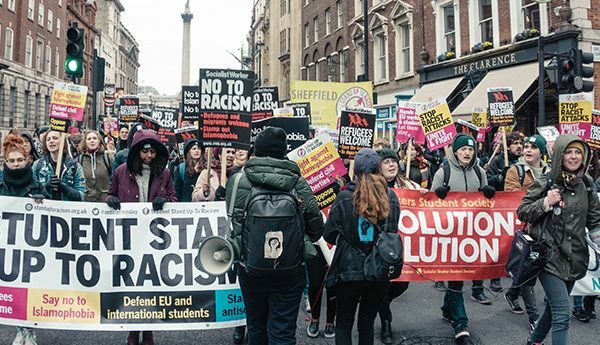 Given the breadth of actors affected by an issue and needed to make change, it is obvious that a family foundation cannot operate in isolation. Yet even with this awareness, organizations tend to operate in the arenas in which they reside. In order to grow effectively and sustainably, a family foundation must learn where it fits in the larger “ecosystem” that influences – and is influenced by – the issues it seeks to support. What Do We Mean By Ecosystem? An ecosystem is a diversity of actors that are affected by and that influence an issue. We believe that the strategic interrelationships among these actors is critical. 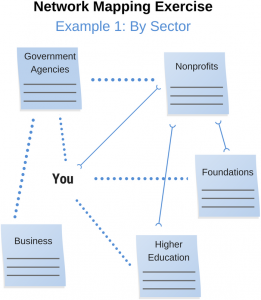 Funders often think about the actors in their ecosystem in three ways: constituencies, sectors, and strategies. Constituencies are the population that is affected by an issue. Sectors are the arenas mobilized to affect an issue (nonprofits, foundations, government, and business). 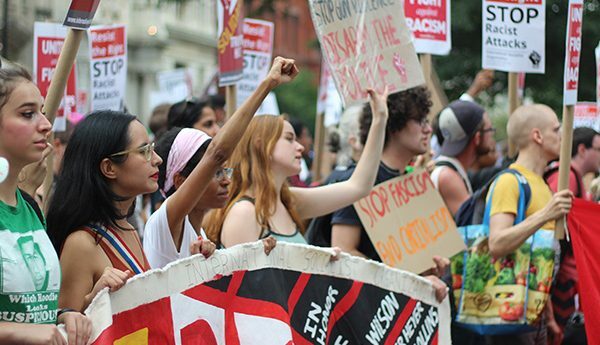 Strategies are the approaches that organizations pursue – and that funders support – to move the needle (advocacy, organizing, research, and so on). Social impact is increased when resources are aligned and leveraged. Problems are large and resources are small – particularly for smaller foundations. Building relationships among those who have a different stake in the issue – such as a local human services nonprofit, hospital, or government agency – allows for better, more robust outcomes. 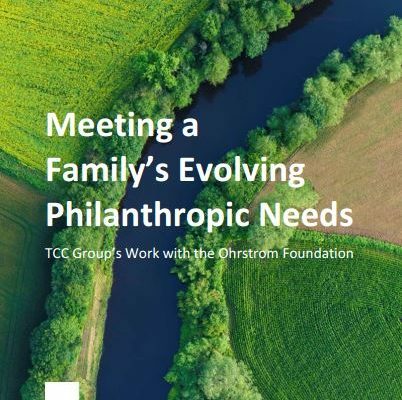 As stated in TCC’s Capacity Building 3.0 thought piece, a family foundation needs to know what its peer funders – and other actors beyond philanthropy – are doing in order to identify gaps, target opportunities, and align and leverage resources for shared purposes. Smarter grantmaking decisions are made when they are informed by the wisdom of diverse actors. No one knows it all. Organizations need knowledge from different sources to better inform their decisions. Family cohesion increases when foundation work engages family members in joint learning about shared aims. Many family foundation board members come together as little as once or twice a year, focusing on matters like budget review and grant approval. Complementing these important tasks with learning opportunities to help trustees understand their field of interest more richly and complexly – is motivating and compelling work. How does a family foundation map its funding ecosystem and figure out where it fits in? In collaborating with family foundation clients, and in sharing insights at conference sessions—we have walked foundations through a network mapping exercise to help them better understand their place and role within their funding ecosystem. Here is a simple exercise we shared at our latest presentation at EXPONENT Philanthropy’s 2016 National Conference in Chicago. You may wish to use it at your next board meeting, to begin conversation about how to strengthen your work. Take a large sheet of paper, marker, and pile of sticky notes. Consider the various actors in the ecosystem relevant to the issues you fund (i.e., constituencies, sectors, or strategies). Jot down key actors you identify on individual sticky notes. Arrange your sticky notes on the paper, clustering them by the ecosystem dimension most salient to how you locate your organization – be it by constituencies (e.g., youth, women, LGBTQ, etc. 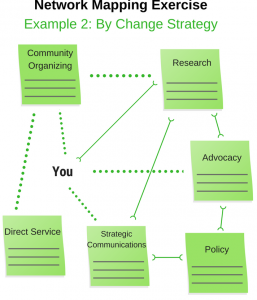 ), sector (foundations, government, nonprofits, business) and/or change strategy (organizing, advocacy, research, etc.). Write the name of your foundation on the paper. If actors are not in relationship, do not draw any lines. If their relationships are thin, draw dotted lines. If they are strong, draw solid lines. Do the same for your foundation’s own working relationships with each of these actors. Why are the actors you’ve identified important to the issue you are addressing? What role do they play in moving the needle on the issue you care about? What more do you need to know about what they do and how their work seeks to influence this arena? Why are some relationships thin (dotted lines) and some sturdy (solid lines) at this time? Do you have any thoughts about what enables or constrains these actors working together on behalf of common goals? Which actors are most important to your own foundation in light of the work you do? Where would you prioritize building stronger connections to advance your own work? What two or three things could you commit to in the next three months to get started? This process can be employed in a number of ways when family foundations are seeking to strengthen their work. 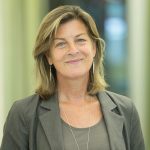 For example, foundations might consider using the mapping exercise when 1) conducting a landscape scan to identify new work to support in an issue area or region; 2) launching strategic planning or grant portfolio review; 3) brokering relationships with influential actors in a shared field of practice; or 4) assessing foundation impact. We welcome learning about your experience in using this mapping exercise to improve your family foundation’s important work. Please reach out to us at any time to share your goals, questions, and insights.